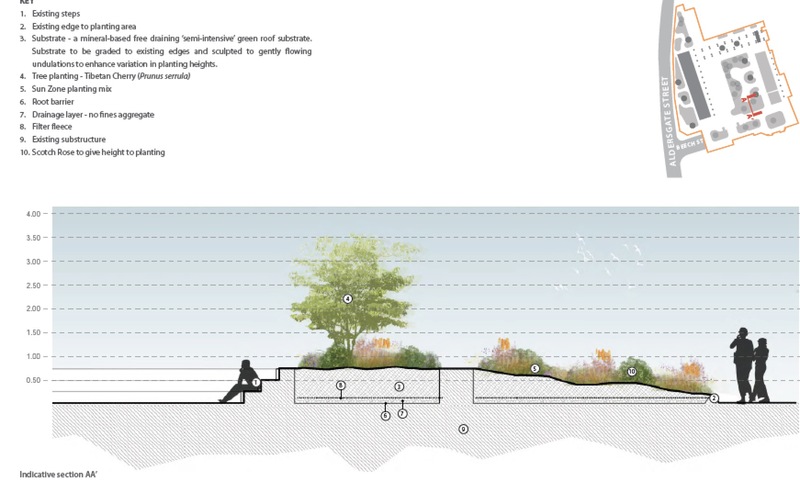 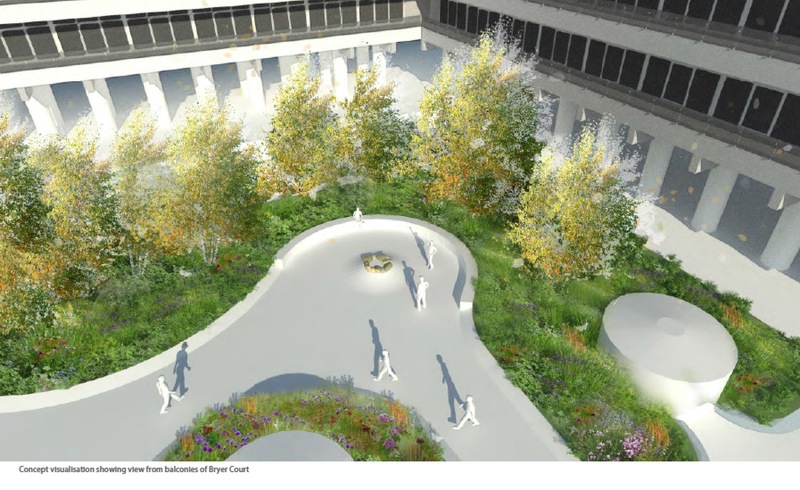 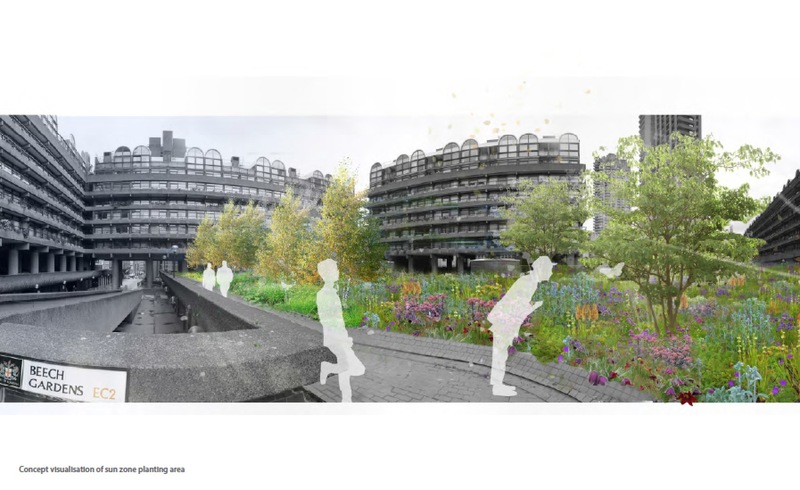 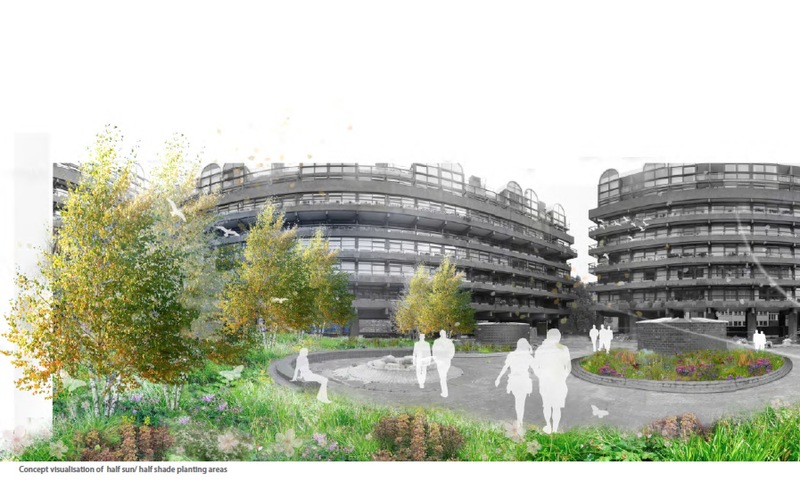 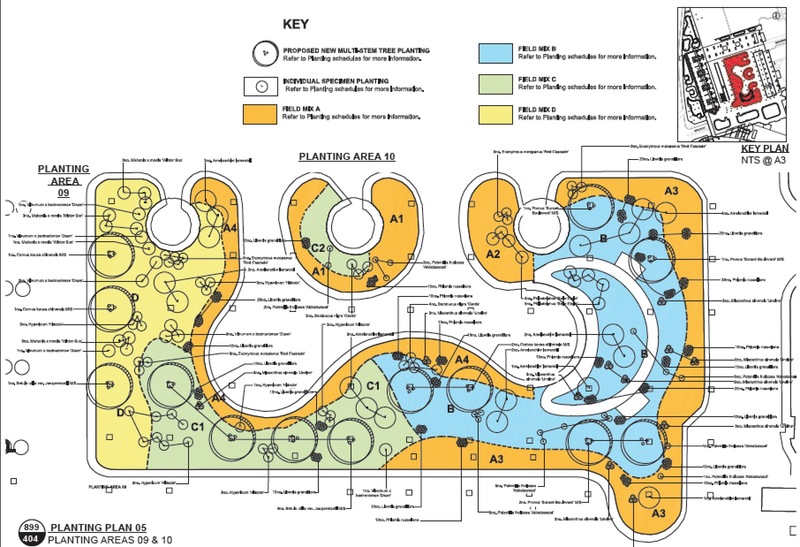 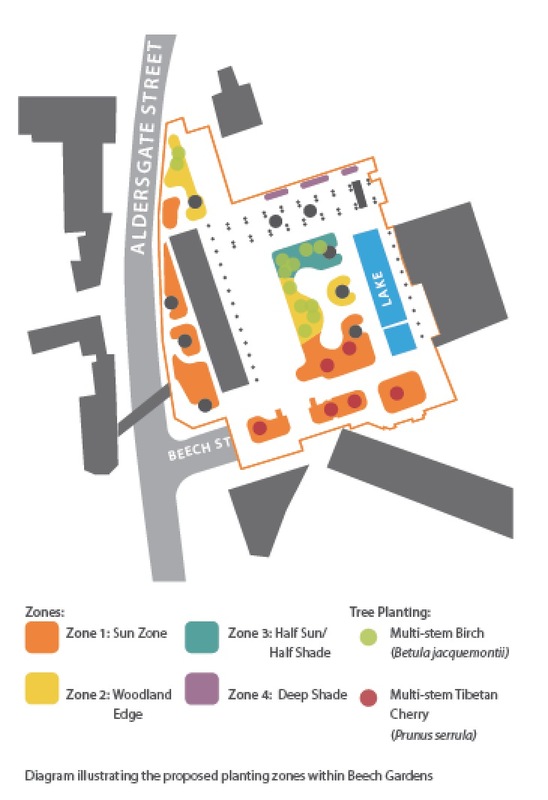 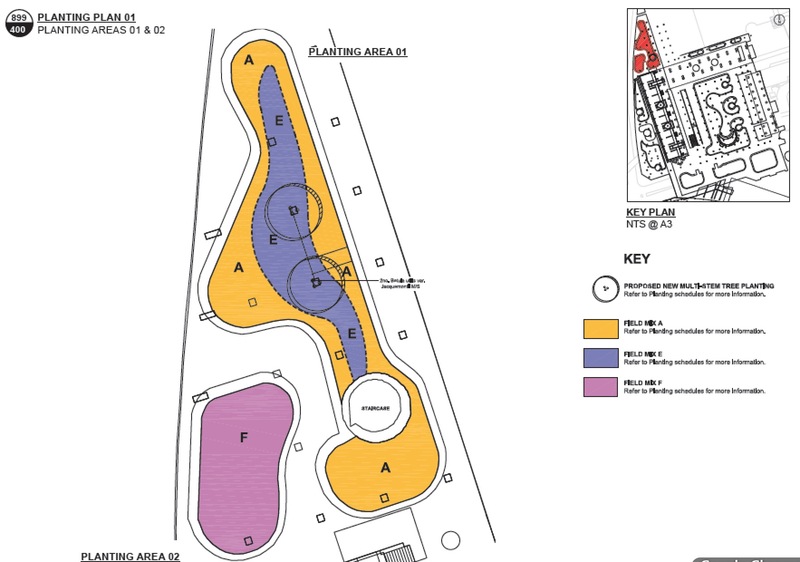 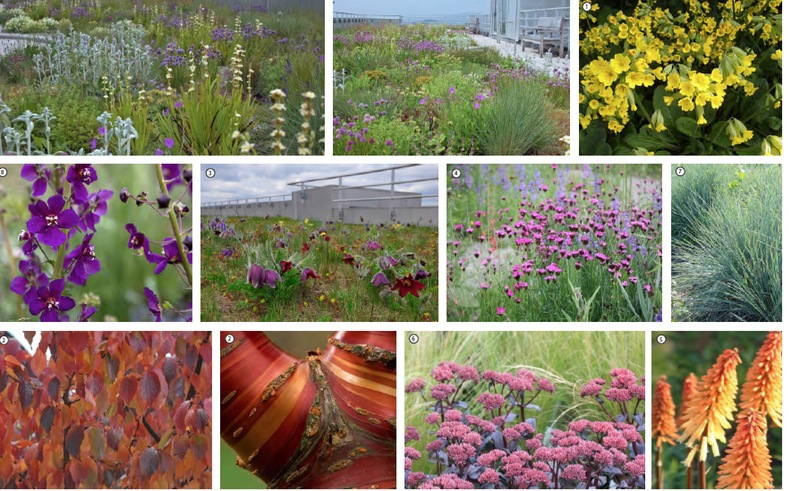 The initial ideas and concepts for the plantings were based on Nigel Dunnett’s programme of research into plant selection and planting design for green roofs, and the many applied projects that used and extended the ideas, concepts and techniques that were derived from that programme. 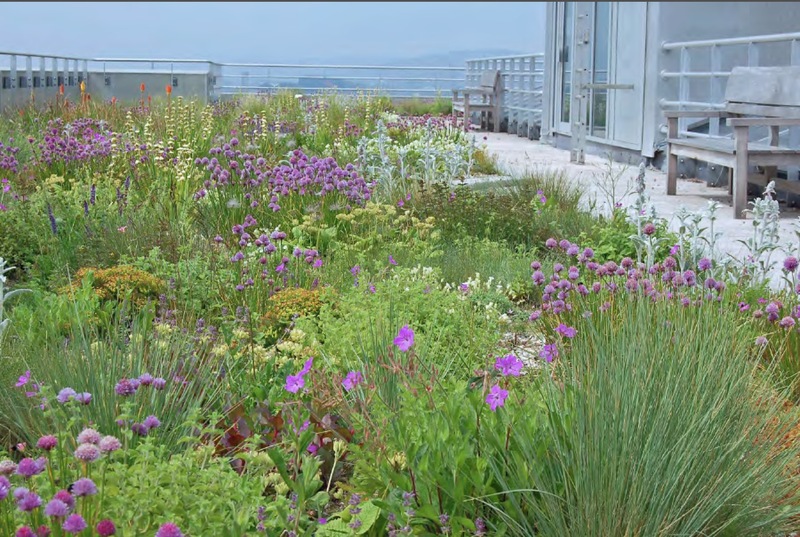 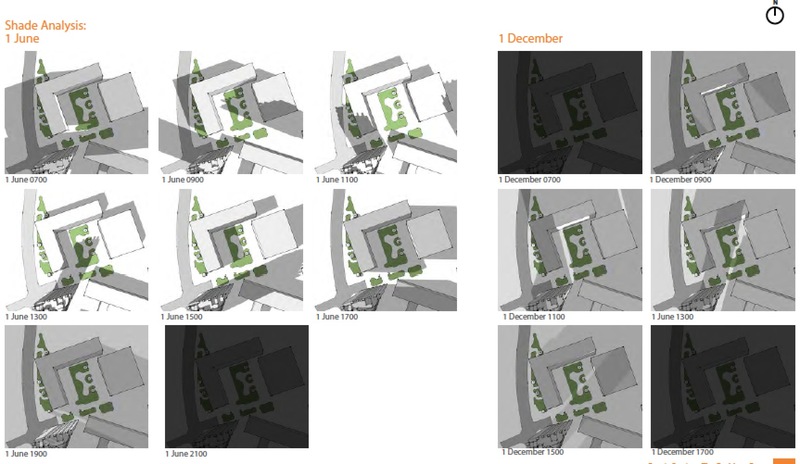 The photograph below is from the steppe plantings at the green roof at Moorgate Crofts, Rotherham, for example, which one of the first applications of these ideas and approaches, implemented in 2006. 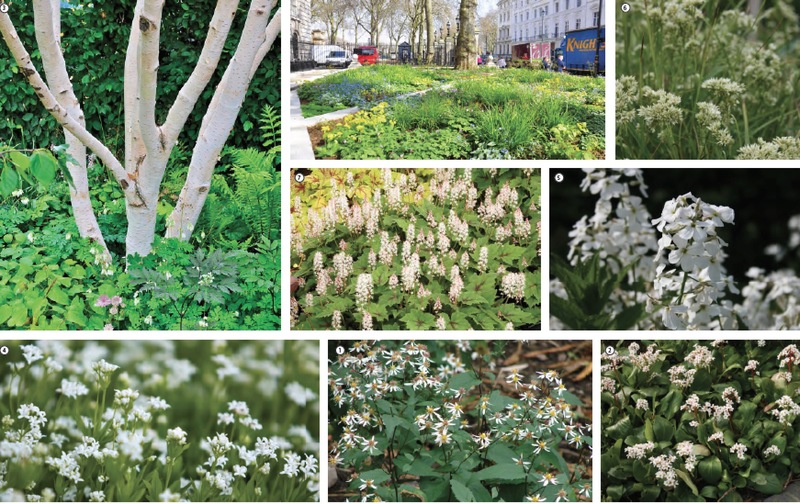 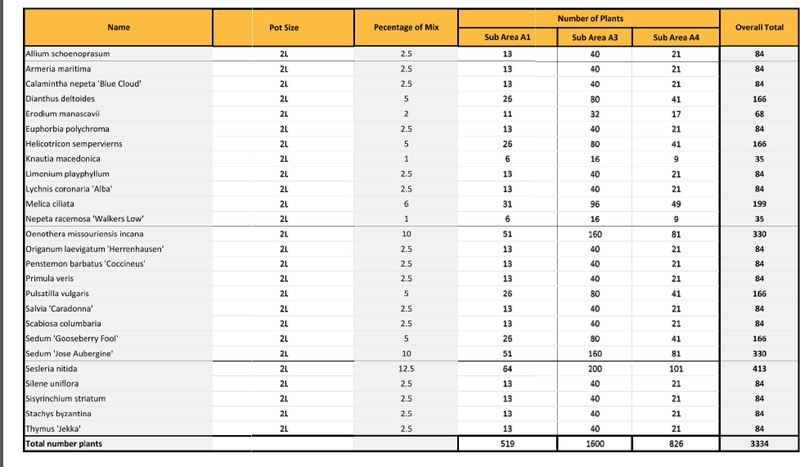 Below are the original ‘mood board’ images to indicate the character of the main steppe plantings, and of the woodland and semi-shade plantings (where many white flowered plants were proposed to bring light to these shadier areas).